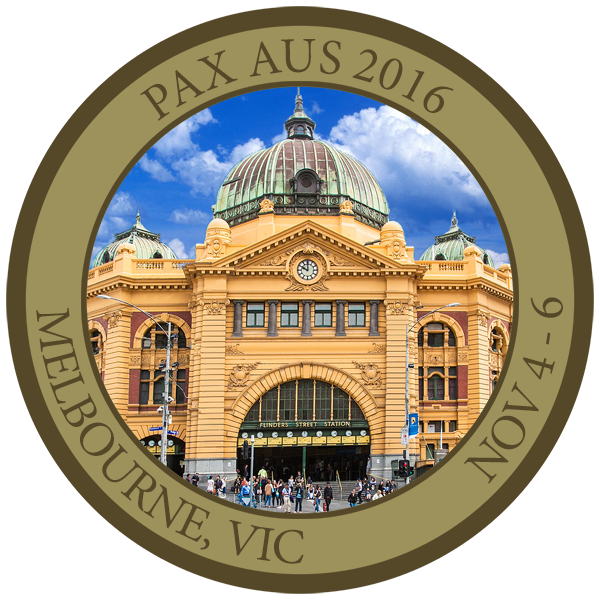 PAX AUS 2016 Challenge Coin. All done! 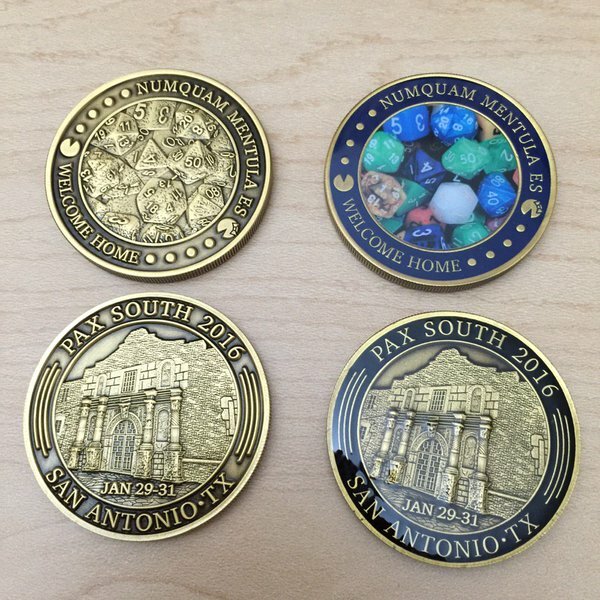 What is a PAX Challenge Coin? Click here for details. Last year's thread (this OP will be frequently updated with the latest info on design/community voting/etc). Orders for the second and final batch are closed. Thanks for buying one! EDIT: Production artwork is here! We're going with reeded edges and antique gold like this year's south coin so they should look something like this. Actually it was that time a month ago. Now we're late (sorry @akidderz). If you have any basic questions about challenge coins please check last year's thread as they were probably answered in there. Or ask here I'm not your boss. Ok so we need a gaming related item for one side and a local attraction/place/thing for the other. Last year we went with a tram for the back, but there was some talk about whether we should be looking further afield than Melbourne since our PAX is Australia's only PAX, unlike the US states, so opinions on this would be welcomed. Keep in mind the images should be copyright free/user submitted. If we end up using your image I promised last year that one of this years coins would be given to you at no cost (and perhaps one of last years, if I have any left). So far I've updated the template for this side with the correct year and date but nothing else. If you think you might have a photo that we could use please let us know! I'm assuming the difference is that it's easier to add selective colour when you have a clean design as opposed to a photo. My feelings on it are; I think we should stick with a non-colour coin (DRAMATIC MUSIC!). I just don't know if I think the extra expense/hassle/OMG I NEED TO BUY BOTH is worth the outcome. But that's just me. If you guys want colours YOU GET COLOURS! Also unlike last year we should have the edge reeding and.. black wash stuff (?) 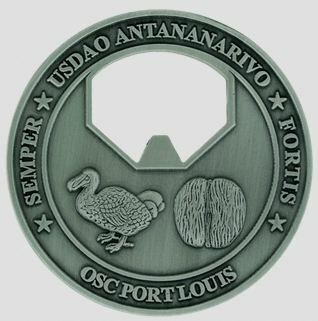 that highlights the design better (see South coin pic for example of what we're aiming for). So, let's hear your thoughts! At some point I'll put up some google docs for voting on the various elements, but I'll wait until we've had some discussion first. We're aiming to go into production mid-September so we're not scrambling like last year, so that's our time-frame. Orders will be the last thing sorted out, but you should be able to either get them sent straight to your address or pick them up at PAX. Alex jumping in for a second (we made both of the coins mentioned above). 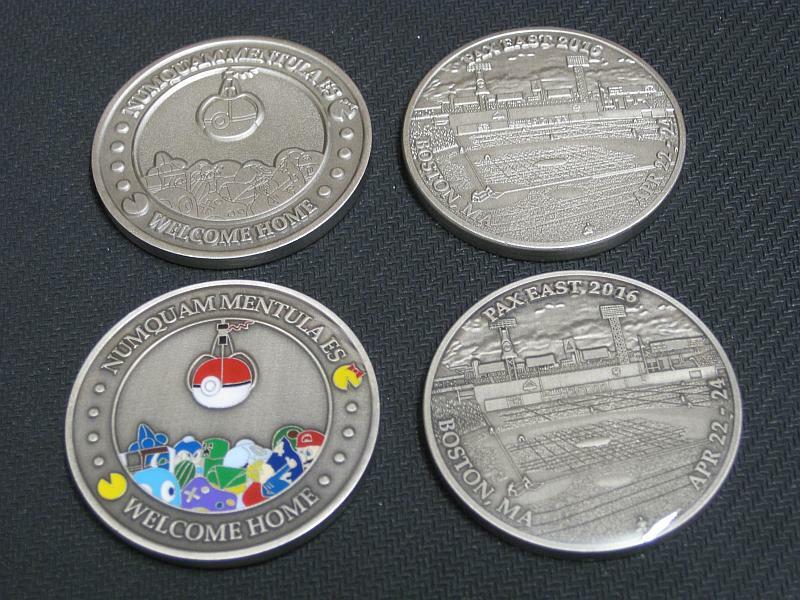 The color versions can be made at the same time and they are usually about a $1/coin. Not all designs allow for the color version to be made, it has to be something we are thinking about as the design process moves forward. If you guys have any coin related questions (especially early in the process), just tag me in this thread and I'll hop on to respond. We really appreciate getting to make these for you guys. We did all the PAX's last year and we know that our experience with PAX AUS is why that happened. Yes and I'll take 5 maybe 6 this year please Fishfish. Loving the design you have there already for the Gaming side and agree on a more broader Australian design for the back, Dropbear?!?. 'Welcome Home' must stay though, I love that phrase. 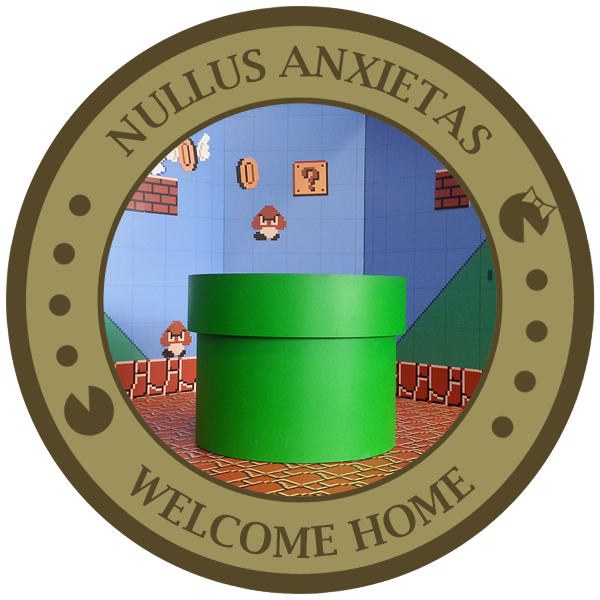 I vote for NULLUS ANXIETAS. You could say I'm biased given I have an autographed copy of the Annotated Pratchett File. 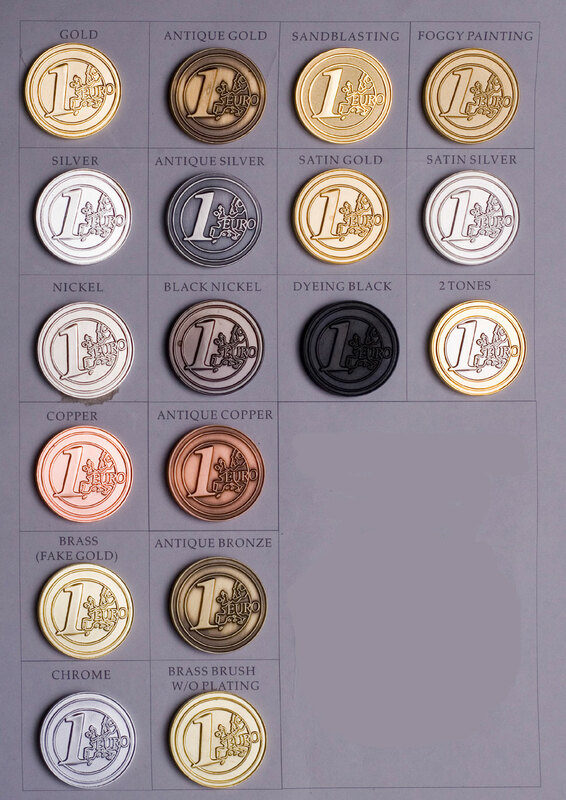 On the colour/no colour question I'll vote for colour but I'm not going to be upset if no colour coins are produced. Of course a more serious issue is the correct spelling of color/colour. Sorting out postage and then loss in the mail or non-dispatch of my 6 coins from the second production run was a bit of a bummer. Is there an option for postage tracking/insurance this year? I'll probably order 6 for use as competition prizes. The PA drop bear they did for the make a strip panel would be good. And i vote nullas anxietas. My 2c (as it's still legal tender in this fine land) is that I think I prefer the non colour version. The black wash as you said adds a great highlighting element and a real element of elegance to the shebang. The mario pipe is cool, I am wondering if it doesn't need something dumb like an emu head sticking out of it? For the flip side I do have a pic I'd like to submit, any chance of a reminder of submission details? I kinda feel (and being not from Melbourne, so it's harder to get and submit a pic) that the reverse face should probably be Melbourne related, at least for the next few years due to being host city. Incase they later try a different Oz city. 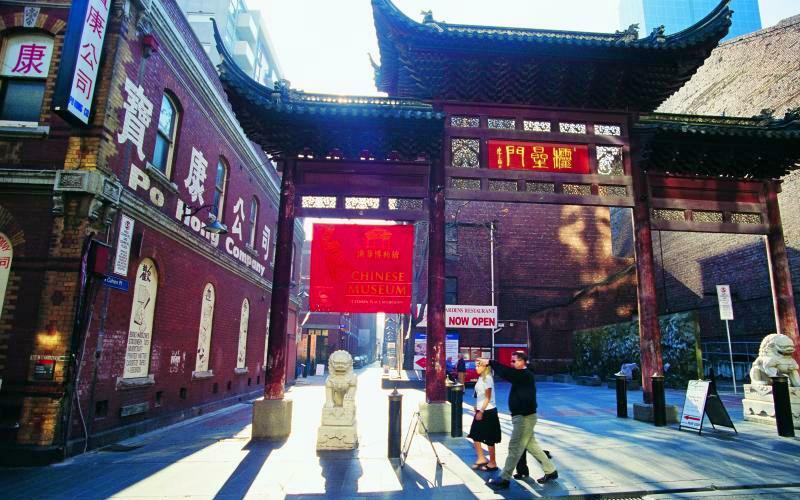 But mostly I like the tradition of a pic of the home city and it's kinda nice that it's not just the bloody harbour bridge and opera house all the time. 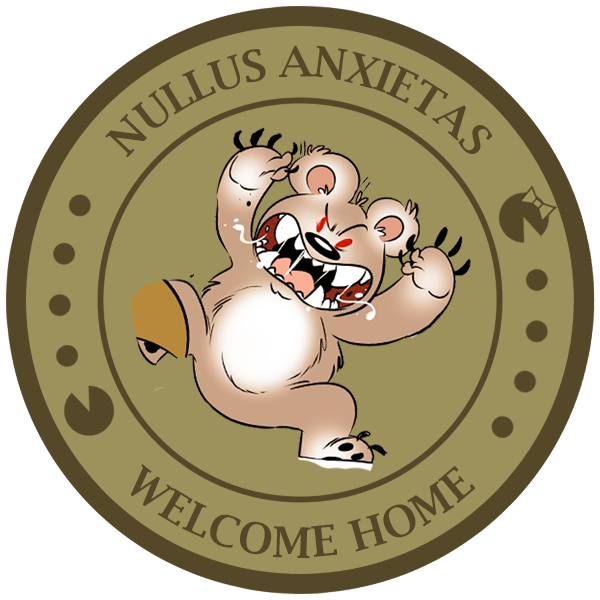 I also liked the idea to have the Latin Ozzified, so I'm perfectly fine with Nullas Anxietas or however the hell it's spelt. "Have a cold one" would be an option too. I'm on board for 6! Thanks in advance! The PA drop bear they did for the make a strip panel would be good. I'm sure we can't use official PA art. Hey @Fitzchivalry you still about? Who did that drop bear cookie brigade art for you? Maybe we could have one coming out of the pipe? For the flip side I do have a pic I'd like to submit, any chance of a reminder of submission details? I kinda feel (and being not from Melbourne, so it's harder to get and submit a pic) that the reverse face should probably be Melbourne related, at least for the next few years due to being host city. Incase they later try a different Oz city. But mostly I like the tradition of a pic of the home city and it's kinda nice that it's not just the bloody harbour bridge and opera house all the time. I agree on the harbour bridge being overplayed, but I don't want to limit ourselves on what we choose because of some theoretical future change of venue. No real submission restrictions on images except that you have the right to give us permission to use it! Post it in the thread and the community can decide. Keep in mind the NULLAS ANXIETAS wasn't really ozzified so much as from the disc world books. 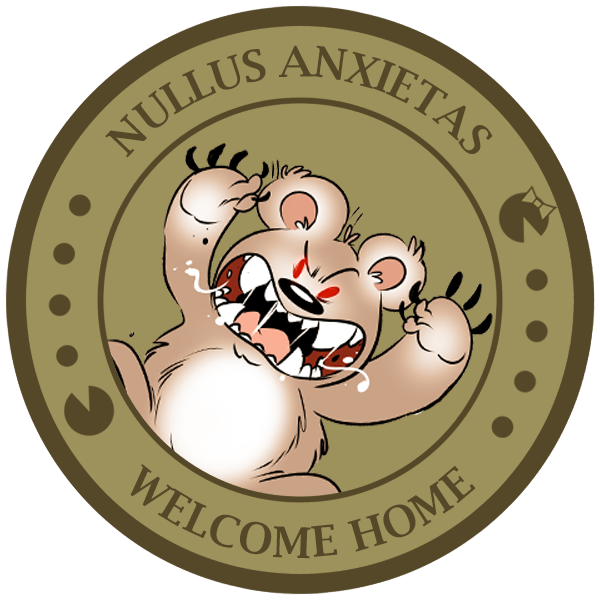 being acceptable so NULLAS ANXIETAS is a good compromise. How about a swagman with dice hanging off his hat threads? Black wash, yes. Especially if we go non-colour. Spot colour, yes, as long as it's a good design for it (photo seems rotten, I think East did it far better in that the design was made specifically for it). Does the Latin have to change? I like it, I want to keep it. I'd rather not there be a situation where you have to choose from or buy two coins. Would prefer we didn't make a precedence of this. Gonna buy one anyway lol, but there's my input. Just keep in mind for any suggestions that require illustrations we'll need an artist. My skills end at badly photoshoping elements together. Yes, we're def doing the wash on the non-coloured version. Well I'm afraid the precedence has been set already from the last 2 paxen, but for what it's worth I agree. I'm sure we can't use official PA art. 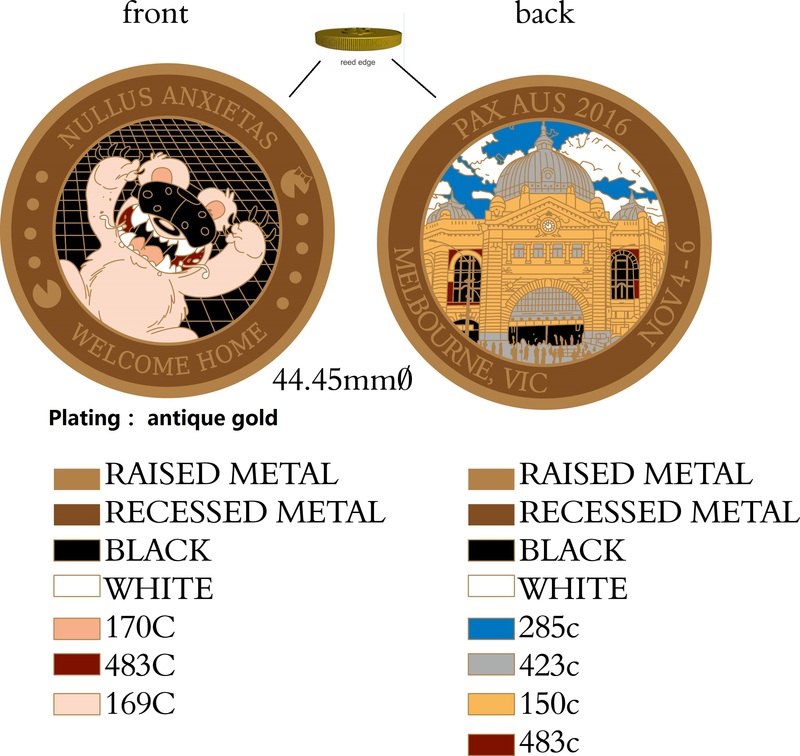 When West was figuring out it's coin, I asked Mike if we were able to use PA art of Khoo for the coin. He said that we were able to. So, you never know! 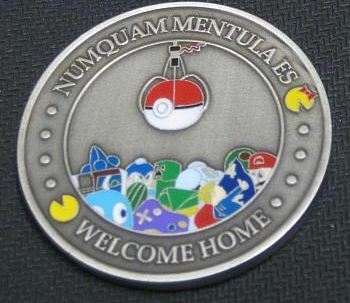 If you do the black rim around the coin, they will put enamel on it, so it feels plastic-y. That was my only disappointment about the colour coins as a whole. I like this one. I would also like to buy one but I assume that comes long after we've designed the thing.  I've got an artist lined up if we can decide on the basics of a design for the game side, so that's good. But we still need more suggestions/submissions for the location on the other side. Everyone go through your pax photo's from last year and see if you've got anything relevant! I've got no stake in keeping the same motto (though Pterry's fondness for both Australia and video games, and the fact that it's the motto of Bugarup University on the very Australian continent of XXXX, commended it to me) or changing it up every year, though if we go for the latter, I'm definitely in favour of the 'Land Of Expensive Games' one. For the artwork, could we perhaps do something Olympics-inspired? A circle of classic game items (Master Sword, Belmont's Whip, an E-tank, Super Mushroom, Morph Ball, that sort of thing? These look rad...how do we get these? These have a good combination of metal and inlaid enamel colours. One of the learnings from the 2015 coin is that because it has no "finish" it is not so easy to see the words or the detail because there is no contrast. PAX is about all types of games, I'd love to see something that reflects both computer and tabletop games. This could be something like a split image with a game controller and a meeple (a game playing piece). The guideline for the other side has been to have a design that represents the location, i.e. Melbourne. having a wash/aging/bronzing is essential as noted above. A bottle opener you say? What's more Australian than that? I was having some thoughts about this, I like the idea of it not just being about video games for the 'gamer' side of the coin, I'm knocking around an idea with a graphic designer friend of mine of a classic Meeple with a question mark over it's head being confused by the appearance of a kangaroo and wombat shaped meeples next to it. Also I agree with needing some aging on the coin, having the dazzling gold last year was awesome, but I think the wash would make it a bit more readable. Spot colours would also be great. Would anyone be interested in the bottle opener design? It looks like it would remove a lot of design area. Also if anyone has any photo's they'd like to submit for the other side please do. Haven't had any submitted yet and I'd rather not have to grab one at the last second again. That design sounds great, so if they're happy to do one we'd def be interested in seeing it! Also if I didn't make it clear in the OP, this years coin will for sure have better contrast (ie: some) than last years. Previous submissions removed due to Fish's meanness. I got an artist on Freelancer to do it, but for some reason I can't find it in my account..which is odd...but yeh add a job to Freelancer if you want or if someone creative wants to edit my cookie version thats also an option. Sign me up for a few. I personally like the straight coin look (no colours/no photo) but the bottle opener is great in a dumb fun kinda way. I love 'Land of Expensive Games' and 'No Worries Mate' as mottoes but the Latin is way off. Terra Pretiosa Ludos should be Terra Pretiosorum Ludorum. The original has Pretosia agreeing with Terra, meaning the land is expensive, not the games (true but off-topic). Also Ludos is in the accusative case when it needs to be genetive. Amicus Non Subponam translates to 'A friend doesn't have a pressure'. It needs Amicus in the vocative case (Amice) and I'd use Cura or Vexare for worry. Thus: Noli Vexare Amice (Don't worry, friend) or Sine Curis Amice (Without worries, friend). The other translations are fine. Caesar himself would know what you meant. Sorry I've been radio silent for so long. I was stuck away from home with no internet for 2 weeks, and when I got back things were hectic for a while. We were aiming to have this ready to go a week or so back, so I'm quite a bit behind. Updates on my end are; we've had two potential artists drop out, but I asked Gabe if we can use the art from the 2013 Fauna comic and he said yes, so I've whipped up a few potential ideas (see below). Still have to find an image for the location side, but I wanted to get a post here so people know this is still happening. @akidderz says our deadline is October (early next week) if we want to get this in time for AUS. If we want a colour coin at this point we can probably only do one side, but that might work better if we just want to go with the one coin? I'm planning to get some google form voting thing set up at some point, but just want some general community feedback right now. I'd move the pipe down a bit but I didn't bother for this test verson. ...and also because we don't have the feet in the final art. I'm asking my artist friend if she has time to add those back in, but yeah. Also for the last 2 I thought a slightly angled dropbear was more interesting than just having him sitting up straight. And now I've posted those I realise the last two don't really having anything "gaming" going on in them. I like option 2, despite not being strictly gaming-related. Option 1 is cool, but I'm wondering if it's too much detail for a coin? Option 1 is cool, but I'm wondering if it's too much detail for a coin? Perhaps, it's hard to tell at this point. It would definitely be simplified. TERRA PRETIOSA LUDOS - Land of expensive games. Option 2. Add a D20, an Atari joystick, and it's solid. Also, I think it would work fine without colour. Option 2 taking the early lead. How does everyone feel about leaving it as it is? The image is from well known gaming comic, after all. No hard and fast rule that says we need something more explicit. 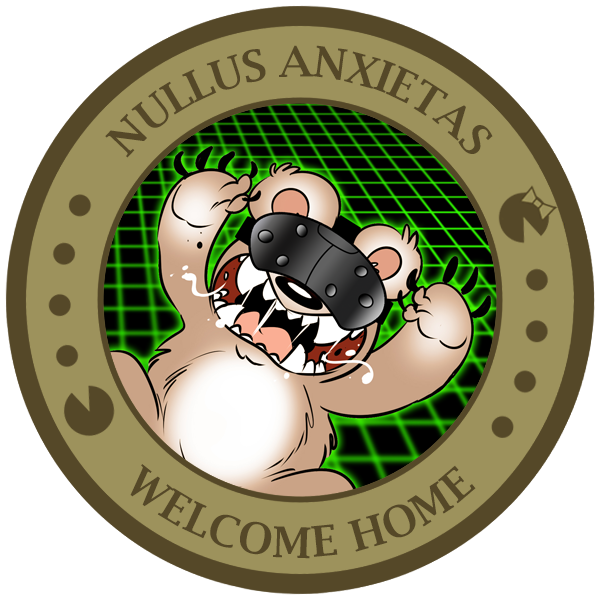 Not against adding in a more specific gaming element, but unless it's a tshirt or something for the dropbear it's going to be a little crowded. You get to use $(#&ing Drop Bears on your coins!? East had to decided to use a Duck one year! I am incredibly jealous. 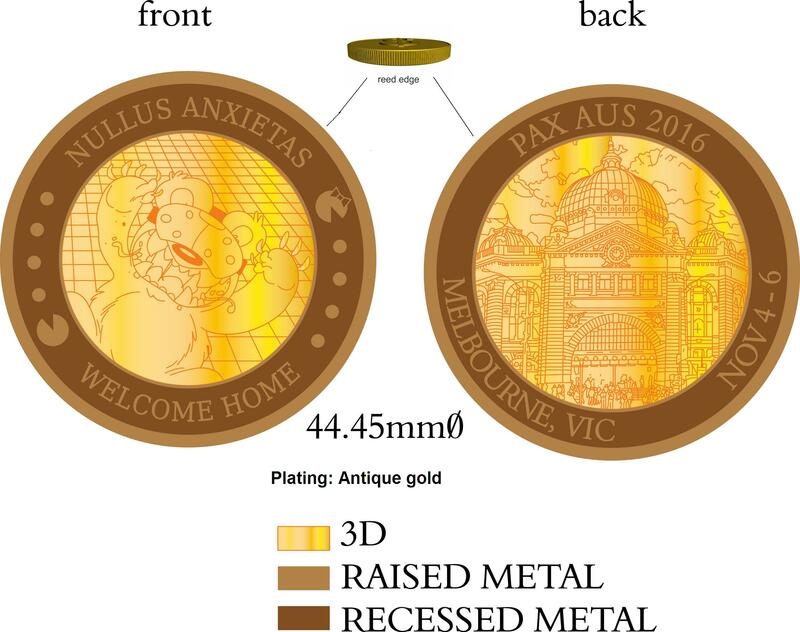 ..yeah, I'm going to need to order a drop bear coin even though I'm not going to attend PAX AUS.